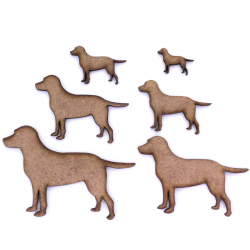 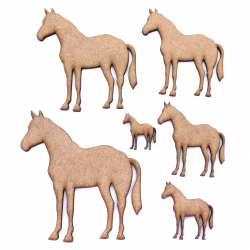 These 2mm thick MDF Labrador Retriever shapes are available in the following sizes: 20mm, 30mm, 40mm, 50mm, 60mm, 70mm, 80mm, 90mm, 100mmThey are laser cut from premium 2mm thick MDFThese embellishments can be used in craft projects, making decorations, gift tags, cards, decoupage etc. 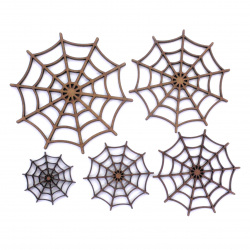 These 2mm thick MDF Spider Web shapes are available in the following sizes: 30mm, 40mm, 50mm, 60mm, 70mm, 80mm, 90mm, 100mm, 150mm, 200mmThey are laser cut from premium 2mm thick MDFThese embellishments can be used in craft projects, making decorations, gift tags, cards, decoupage etc. 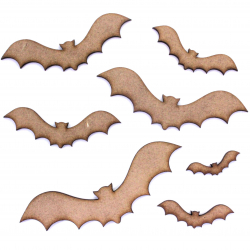 These 2mm thick MDF Bat shapes are available in the following sizes: 30mm, 40mm, 50mm, 60mm, 70mm, 80mm, 90mm, 100mm, 150mm, 200mmThey are laser cut from premium 2mm thick MDFThese embellishments can be used in craft projects, making decorations, gift tags, cards, decoupage etc. 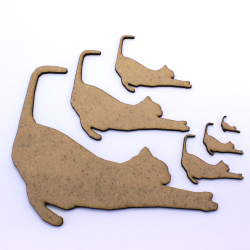 These 2mm thick MDF Playing/Stretching Cats are available in the following sizes: 10mm, 20mm, 30mm, 40mm, 50mm, 60mm, 70mm, 80mm, 90mm, 100mmThey are laser cut from premium 2mm thick MDFThese embellishments can be used in craft projects, making decorations, gift tags, cards, decoupage etc. 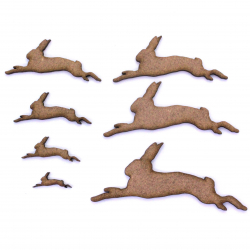 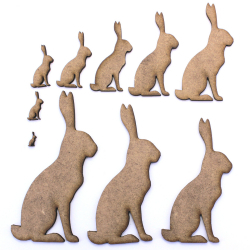 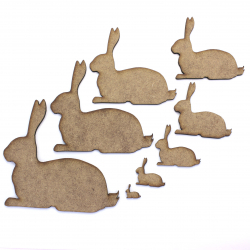 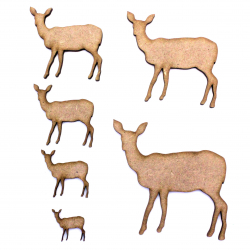 These 2mm thick MDF jumping hare shapes are available in the following sizes: 20mm, 30mm, 40mm, 50mm, 60mm, 70mm, 80mm, 90mm, 100mm, 150mm, 200mmThey are laser cut from premium 2mm thick MDFThese embellishments can be used in craft projects, making decorations, gift tags, cards, decoupage etc. 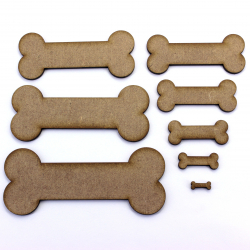 These 2mm thick MDF bones are available in the following sizes: 10mm, 20mm, 30mm, 40mm, 50mm, 60mm, 70mm, 80mm, 90mm, 100mm, 150mm, 200mmThey are laser cut from premium 2mm thick MDFThese embellishments can be used in craft projects, making decorations, gift tags, cards, decoupage etc. 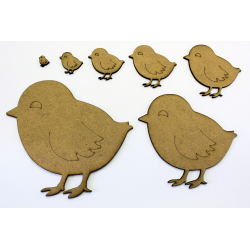 These 2mm thick MDF chick / chickens would be perfect for an Easter craft project. 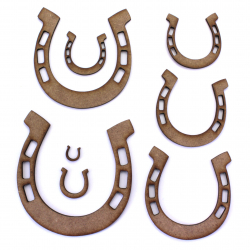 They are available in the following sizes: 10mm, 20mm, 30mm, 40mm, 50mm, 60mm, 70mm, 80mm, 90mm, 100mmThey are laser cut from premium 2mm thick MDFThese embellishments can be used in craft projects, making decorations, gift tags, cards, decoupage etc.